Based in the beautiful mountains of Park City, Utah, we’re passionate about our team and our customers. We’re driven to impress and impact our customers’ success. We're here to help identify key opportunities, leveraging AtlasRTX, to reach your customers more efficiently and more effectively. We care about your success and would love the opportunity to form a lasting partnership. Prior to founding AtlasRTX, Bassam was Chief Operating Officer at MaritzCX, the world’s largest customer experience technology company with annual revenues of $200 million. As COO, he was responsible for all operations globally with a team spanning 18 offices around the world and numbered over 600 permanent and over 1,500 hourly staff. Annmarie combines 16 years of business and accounting experience with10 years of human resources and organizational development. Annmarie collaborates with the team and our customers to cultivate and nurture a corporate culture that supports our passion to impact the success of our clients, partners and team. Annmarie holds a B.B.A. degree in Accounting with a minor in Finance and a Master's Degree in Social Work..
Drue has always been fascinated with how things work – from tinkering with devices, to general contracting and building his home, to developing bleeding edge software – he is a natural and instinctual engineer. As Co-Founder of AtlasRTX, Drue brings that passion for engineering and tech innovation, paired with more than 15 years of extensive technology and engineering management expertise to oversee all of AtlasRTX’s product development, technology, and infrastructure. Before bringing his talents to AtlasRTX, Drue was cofounder and VP of Engineering and Cloud at Ashua Software, a custom software development firm specializing in business and financial software applications. He was responsible for the design and development of the company platform from the ground up, integrating third party systems with custom software solutions and mobile applications. Preceding his time at Ashua, Drue rose through the ranks at Harmony Home Health and Hospice from Software Engineer to Director of Software and Engineering, directing enterprise IT operations for a national healthcare provider. Drue holds a M.S. degree in Computer Science from the University of Kansas, as well as a B.S.N. from the University of Utah. Ana is a seasoned user interaction/web designer with over a decade of experience in web strategy, interactive and UI design. Ana oversees user experience for our clients and their audiences. Kimber is an urban planning and land development expert with over 14 years of experience in the Utah development community. Taking a leap of faith, she left the planning field to join her mentor Bassam Salem at AtlasRTX, with the goal of helping build a company to improve the customer experience for homebuyers, homebuilders, residents, and beyond. She previously served as the Planning Director for the City of Saratoga Springs (UT). There she led a team of planners to manage and plan for explosive growth, creating a city of which one could be proud. Before that she worked for several other local governments in Utah and has experience in the tourism industry in Alaska and China. As V.P. of Client Success, she works daily with clients to improve real-time communication, and is fast becoming an expert in customer experience and artificial intelligence chatbots. Kimber and her husband are avid skiers, mountain bikers, and retired USA skeleton athletes. They have called Utah home for nearly two decades. Kelly is passionate about leveraging communication tools and technology to change the way we see and interact with the world. 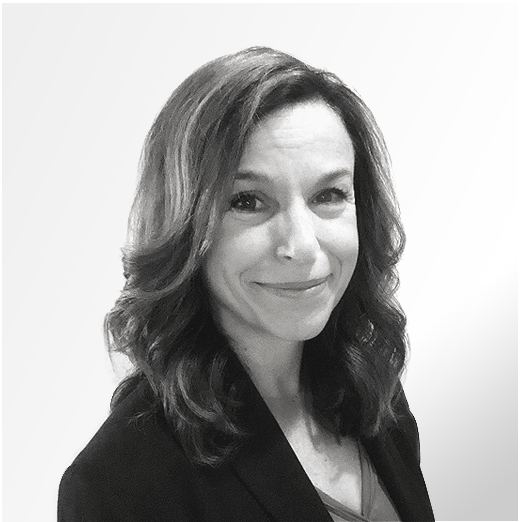 With a career that began at healthcare advertising agencies on both coasts, helping to shape launch plans and patient engagement programs for Fortune 100 brands, Kelly quickly found the power of new and innovative technology to disrupt and delight. Today, Kelly leads sales and marketing efforts for AtlasRTX, drawing upon her high-touch client background to develop experiences and programs to engage start-up and established brands alike. Kelly and her husband traveled far and wide to find the perfect spot to raise their two young boys, and she feels lucky every day to call the mountains of Park City, UT home. Kelly holds a B.S. in Journalism and B.A. in Spanish and Latin American Studies..